Since the idea of this story is to encourage any and every one to learn to invest instead of Save, I also compare our economic future as a country to the old days of Industrial Labor. But we no longer live in those times and sadly most people are taught the conventional way of handling money. 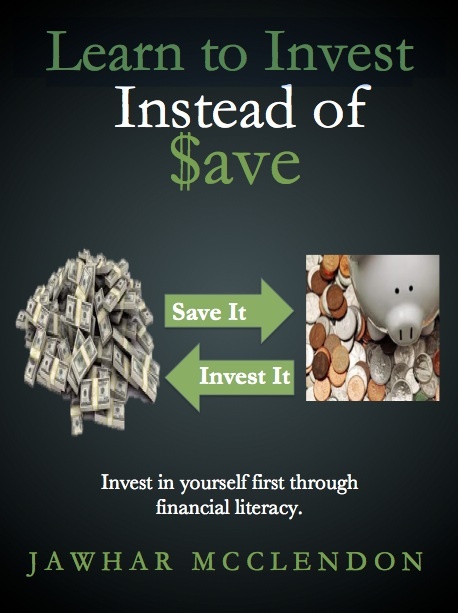 While this e-book title encourages to invest money first hand, the point is to invest with financial literacy; which is why I added a twist to it by mentioning save money to eventually invest it by getting financially educated first.